We all want to enjoy our lives to the fullest. We all know how important our health is in allowing us to do that. The world of Omron is rich in ideas, information and fine quality healthcare products that will help you to maintain or improve both your physical and mental wellbeing. Omron Healthcare is a leader in medical equipment for therapy and health monitoring. 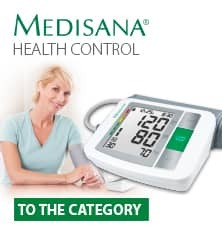 The range of products includes blood pressure monitors, respiratory therapy devices, electronic fever thermometers and body fat monitors among others. By looking beyond the technology, the real commitment lies in building healthy lives. Omron aims to provide a total healthcare management service, aimed at preventing and improving such increasingly common health problems as hypertension, respiratory problems, diabetes and obesity. OMRON Healthcare reaches 100 million Blood Pressure Monitors sold! Since 1973 OMRON has produced cutting edge automatic blood pressure monitors with unique technology, enabling fast, accurate and comfortable measurement. As of September 2009, 100,000,000 units are being used worlwide! making OMRON the number one supplier in the world!